All South has been awarded a Notice to Proceed on the Brady Canal Hydrologic Restoration Maintenance Project. 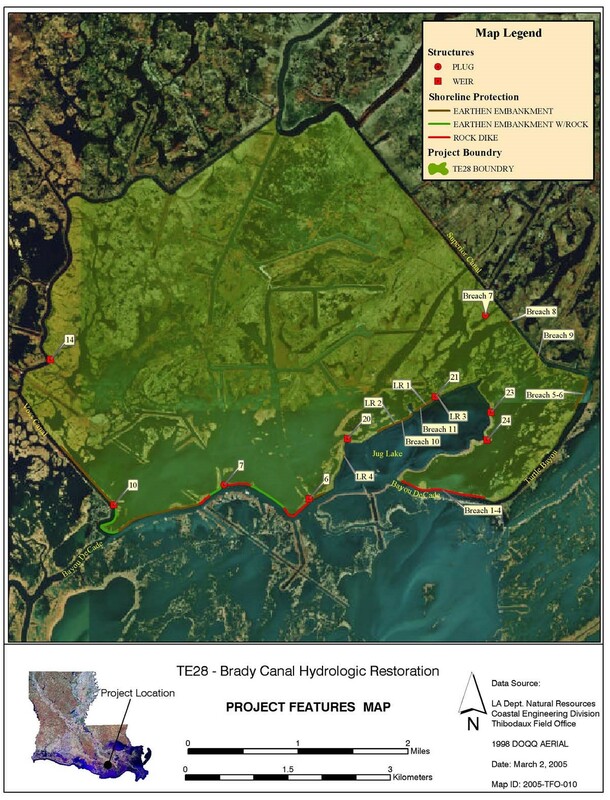 The project involves engineering plans to restore the earthen embankment and repair several natural breaches within Jug Lake, Bayou Decade, and Carencro Bayou in Terrebonne Parish, LA. Jug Lake is a vital part of CPRA’s previous TE-0028 project. Restoring segments of this project from natural erosive effects will help ensure TE-0028 remains a success!